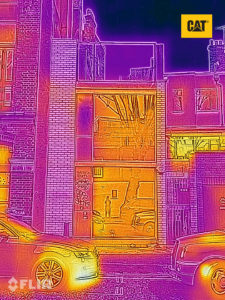 The Cat S61 smartphone has been used to capture images of just how poorly insulated many homes are in the UK. 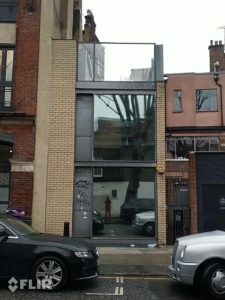 Generally, the newer houses hold their heat more efficiently – thanks to modern insulation and double-glazing – however, one image taken in Shoreditch, east London, shows how much heat is lost through the large feature windows of a modern flat. 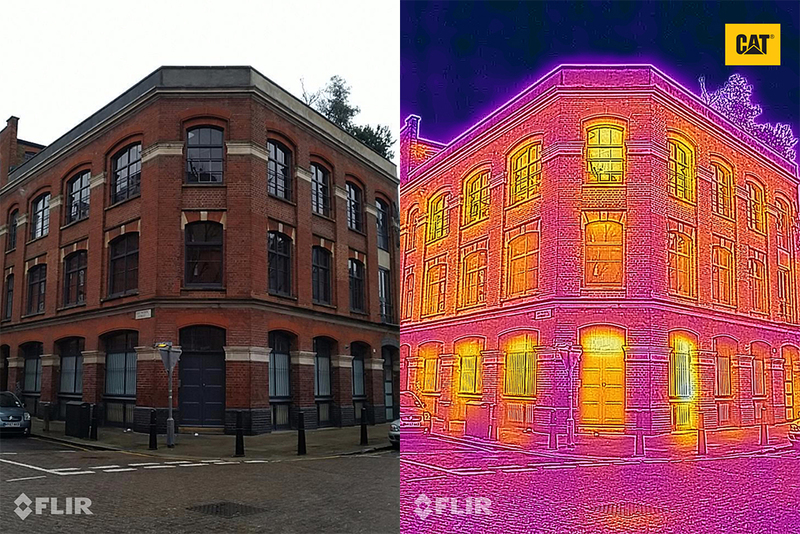 Paul Holmes, technical product manager at Bullitt Group, makers of the Cat S61, said, “When looking at a building using thermal imaging, it’s the contrasting colours that are important to focus on. Yellow and white/yellow spots show heat, and dark plum colours show cold spots. Both of these can be a bad sign because it usually means that either heat is escaping or cold is coming in. In a typical British home, around one-third of the heat produced by its heating system is rapidly lost through the roof, ceiling and walls, according to the National Energy Foundation. Anthony Crossman from A-J-C Plumbing said: “A properly insulated home will keep you warmer for longer and help to save money on the heating bills. The key is to work out where you’re losing heat and a tool like the Cat S61 is obviously very good at doing that. It’s worth checking doors, window frames, ceilings and walls inside and outside your property to see if you are losing heat. Loft insulation can also be an issue so it’s worth seeing what heat you’re losing through the roof if you have easy access.